Want to know my most valuable shopping hack? Okay good. It all comes down to hunting. Hunting for the best price on that item you’re convinced you can’t live without. Before I make a purchase online, I like to Google the same product and see if any retailers have it for a lower price, have a discount going on, or if there’s another designer or brand making something similar to what I’m looking for but at a more reasonable price. That’s why I can confidently say that 95% of my closet was not purchased at full price. And many, many of my belongings have come from the mecca that is TJ Maxx/Marshalls. I swear to you that this is not a sponsored post – I just live and breathe by these stores. My mom has been taking me there since I could walk, so her techniques have been ingrained in me. And those special techniques are what I want to share with you today because I want YOU to never have to say, “I can never find anything at TJ Maxx” again! So say you find a shirt you love, but you’re not familiar with the brand. Hop on Google! Check out their products, their prices, and see what other shoppers like you are saying about them. I love to do this. One time I needed a blow dryer and found one for $30 that retailed for $200. It was a highly rated blow dryer, and I wouldn’t have known if I hadn’t Googled it. And I went about a month ago to the TJ Maxx here in Austin and I saw a T3 blow dryer there and those go for $150 or more I think! Now not everything in TJ Maxx is going to be as much of a bargain as expected or desired. Sometimes you do have to do some comparing between similar products in store to really find the best deal. I find it really helpful, for higher-priced items or a specific item you’re looking for, to have done your online research beforehand to know about quality and pricing. Then when you go into TJ Maxx or Marshalls you’ll really know if you’re getting a good deal on the item you’ve been thinking about! TJ Maxx and Marshalls are not for the faint of heart. Go when you can give yourself the time to peruse the racks and really dig into each section of the store. Once you’ve done this a couple of times, it’ll be easier to go in and hit the sections you need if you’re in a hurry. Y’all. I cannot reiterate this point enough. One time I found a CELINE BAG in this section. Let that soak in a little. I have also seen YSL bags galore in this section as well. But it’s not only bags you can find but also great staple pieces from brands like Vince or Joie. You’re not livin’ until you’ve gone to the Runway section. TJ Maxx and Marshalls are not all created equally. Some stores have much better stock than others, but it also depends on the day you go. Find out when stores get their shipments in so that you can be there to see all the new goodies. I hope you enjoyed this small insight into the craziness I go through to hunt down the best price for the items I love/want. If you have any questions or suggestions, reach out to me over email and make sure you’re signed up for my email list! 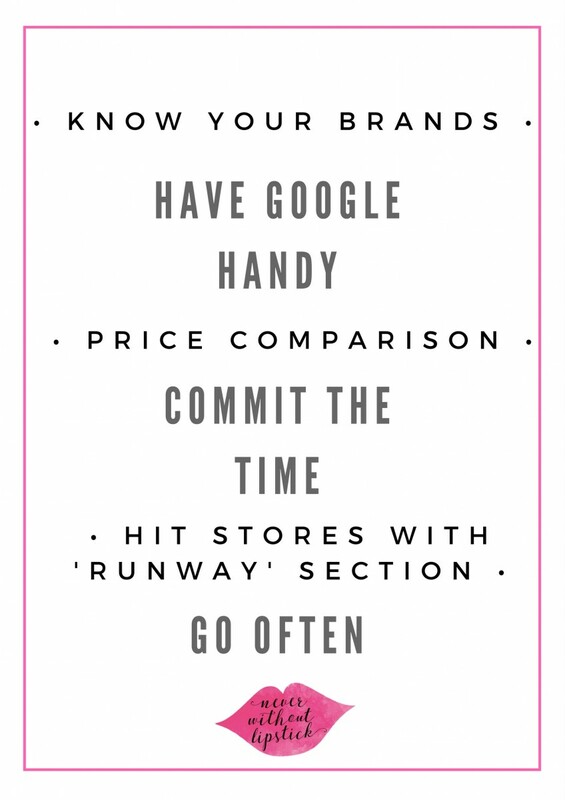 PS: Loving these tips on how to shop at TJ Maxx or Marshalls? Click here now for more fashion favorites!